Jaci's Lodges are situated in the malaria-free Madikwe Game Reserve, boasting 75,000 hectares of Top Ten Game territory where you can expect to see a wide variety and large numbers of plains game including eland, gemsbok, waterbuck, wildebeest, and zebra. You can also enjoy sightings of the endangered wild dog, black and white rhino, cheetah, spotted and brown hyena, hippo, and giraffe to name a few, as well as over 340 species of birds. 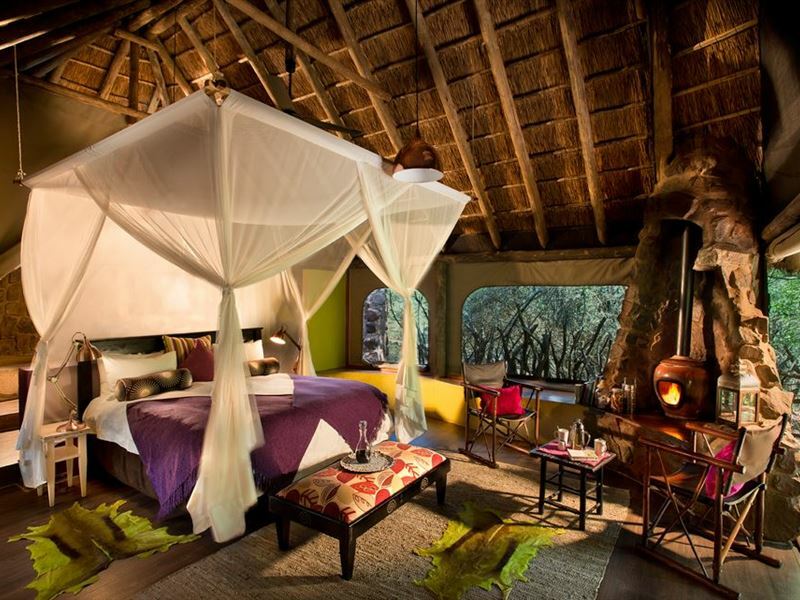 Jaci's Safari Lodge comprises of seven tent rooms, the Safari Suite, and the exclusive two-bedroom Nare Suite. All the rooms and the Nare Suite are built using shaggy thatched roofs and canvas walls to create a tented feel. 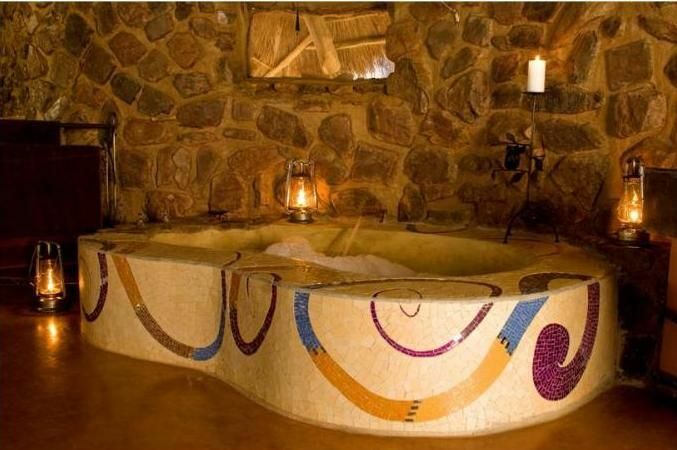 Each room has an open-plan bathroom with a hand-built rock bath and outdoor safari shower. 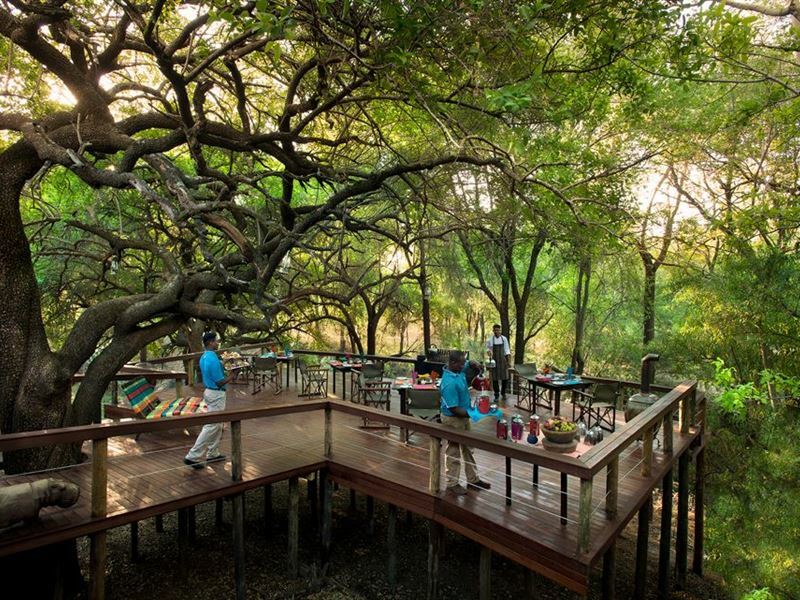 A private wooden viewing deck at the entrance overlooks a small stream where animals and birds come to drink. The Main Lodge is curved around an ancient termite mound and includes a spacious lounge, open-plan kitchen and dining room, curio shop, and upstairs bar. 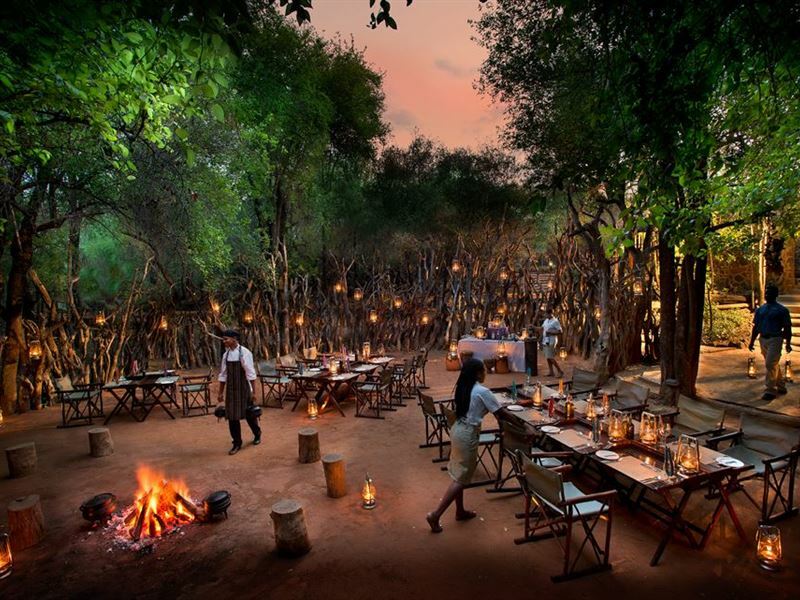 Enjoy meals in our enclosed boma or under the stars at a bush braai after the excitement of a day's exceptional game viewing. The Nare Suite is an exclusive bush retreat, named after the resident buffalo bull who frequents the waterhole in front of the suite, along with numerous other animal visitors. 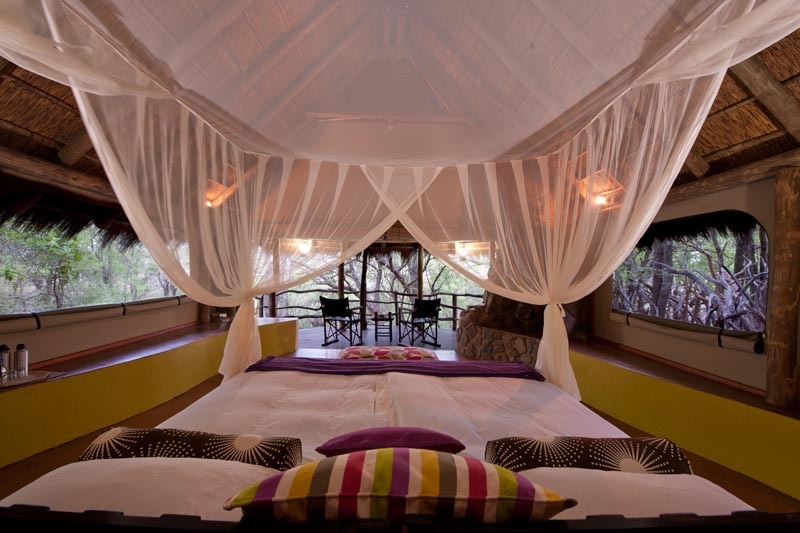 The suite accommodates a maximum of four guests in bush luxury and privacy. The bedrooms each have open-plan bathrooms, with a hand made rock bath and outdoor safari shower. 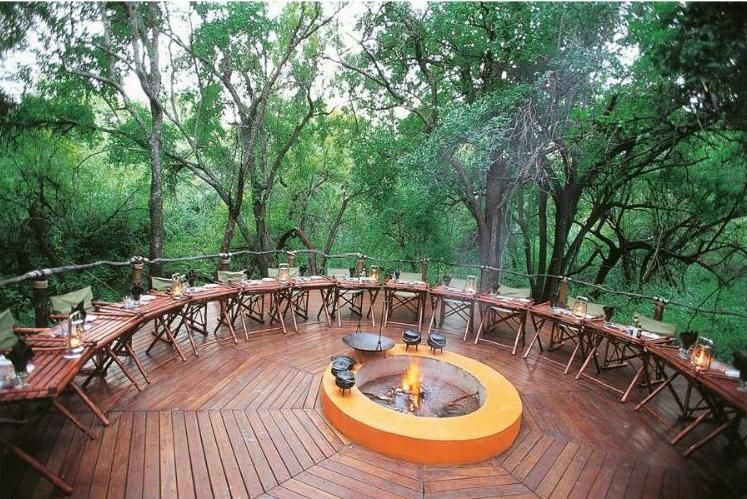 A wooden viewing deck overlooks a fabulous waterhole and encompasses a private swimming pool. The lounge and outdoor dining area are equipped with a self-contained kitchen where our chefs can prepare meals for you in the luxury of your own retreat, should you so desire. A private game vehicle and professional guide are also available to guests. The Safari Suite is beautifully positioned overlooking the Marico River and is prefect for families with older children. The children are accommodated in a loft room upstairs, and downstairs a living room leads onto the main bedroom overlooking the private plunge pool and the river. A separate bathroom has a wonderful bath and features an outdoor shower under a giant Tambotie tree. 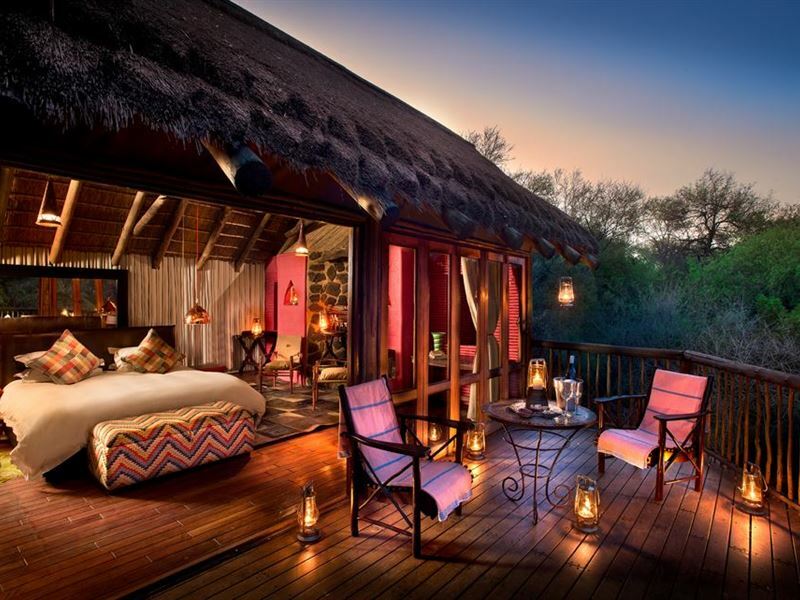 With Jaci’s trademark shaggy thatch roofs and sliding doors opening to the magnificent views, you can enjoy the privacy afforded by the Safari Suite. We recommend children no younger than six year of age in the suite as there are stairs leading up to the loft room, the outside deck area does not have a railing, and the pool is unprotected. 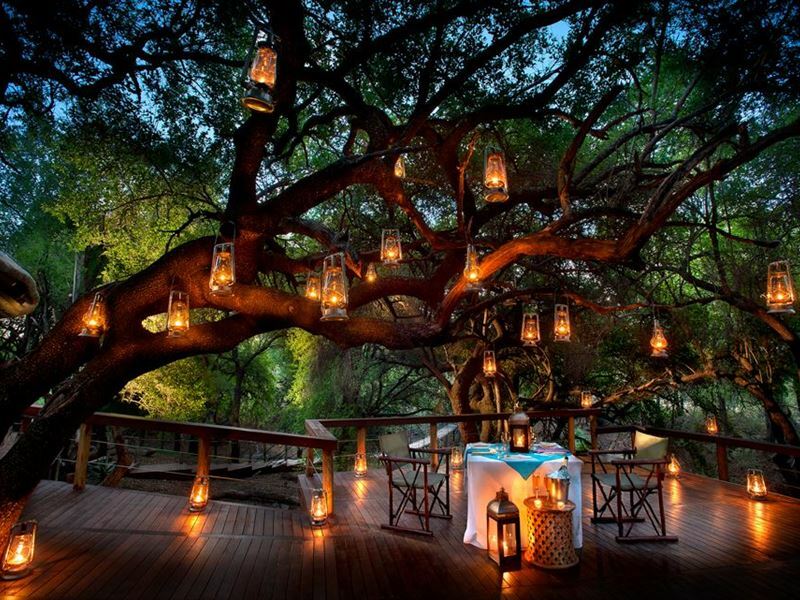 Jaci's Tree Lodge has eight Tree Houses, each encompassing a giant Tamboetie or Leadwood tree. 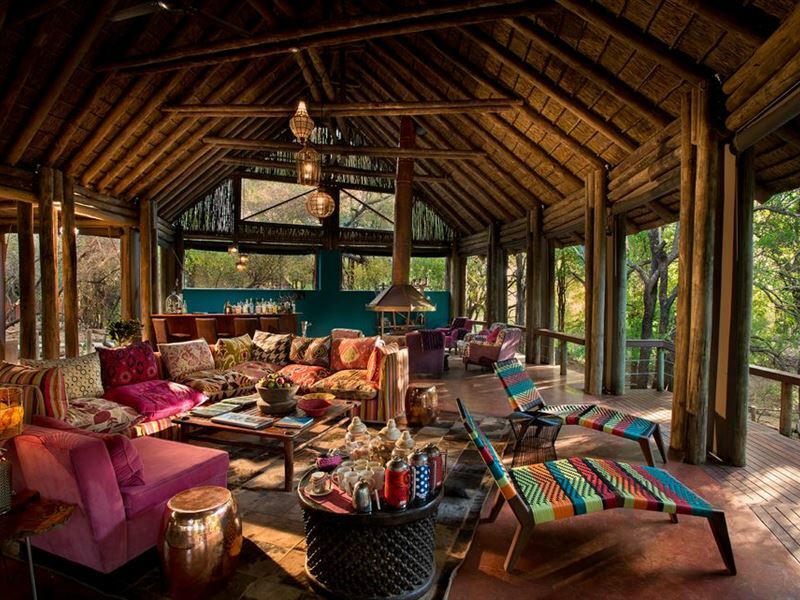 Each Tree House is constructed amongst the riverine forest on stilts, up to 4 m off the ground, and built utilising a combination of rosewood, thatch, and stacking doors so that the forest surrounds are invited inside. An open-plan en-suite bathroom with an enormous stone bath and outdoor jungle shower allow you to enjoy the forest surrounds. Relax on the deck in front of the room, in the Main Lodge, or wander to the forest pool to cool off. 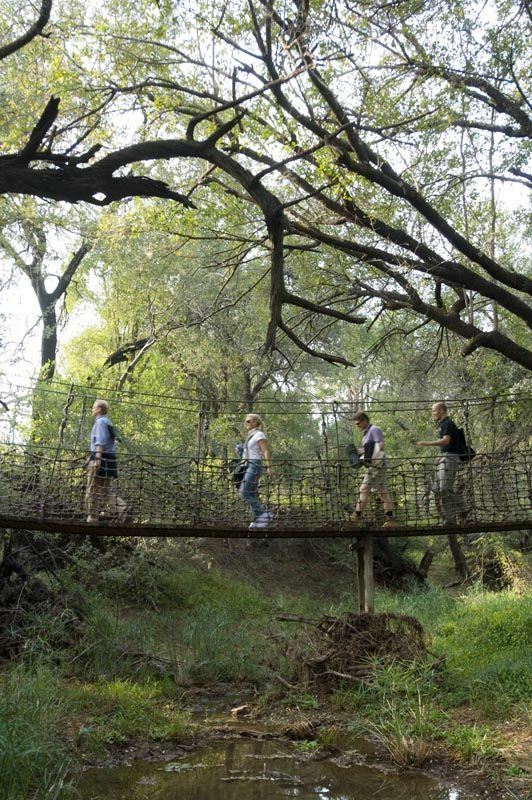 Raised wooden walkways suspended in the forest canopy lining the banks of the Marico River, connect with the extraordinary Main Lodge and its generous facilities. Children of all ages are very welcome at Jaci's. Children aged 12 years and under sharing with their parents qualify for a special kiddies rate, which includes child minders and the Jungle Drive. Children aged 5 - 12 are included on the family game drive and will be given dinner in the dining room on their return from the evening drive. The little ones aged 0 - 4 are taken on a separate Jungle Drive during the day. This is anything from half an hour to an hour depending on the interest levels of the kiddies on the drive. Parents are welcome to come along but must not behave like adults. Child minders can look after your treasures while you are on morning and evening game drives, with dinner being served at 18:00 in the dining room for the little ones. Wedding Venues: Our Bush Weddings are ideal for the couple who seek that special celebration away from the fuss and stress of city life. Let us do all the arrangements for you, at no extra cost. Gorgeous tree lodges with wonderful, warm customer service. Every team member makes you feel at home and plays a part in creating a wonderful atmosphere. Lovely food too. Also, its not often that your game guide tracks you down after you&apos;ve checked out to give your son the t-shirt he bought and left behind. You pretty much rock, Declan! We would gladly return for another visit.